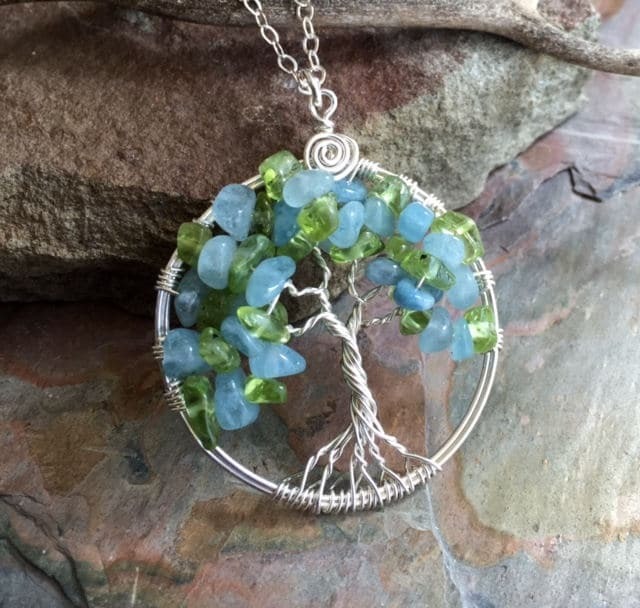 We handmade this unique & gorgeous wire wrapped Tree of Life pendant for March Birthstone necklace. 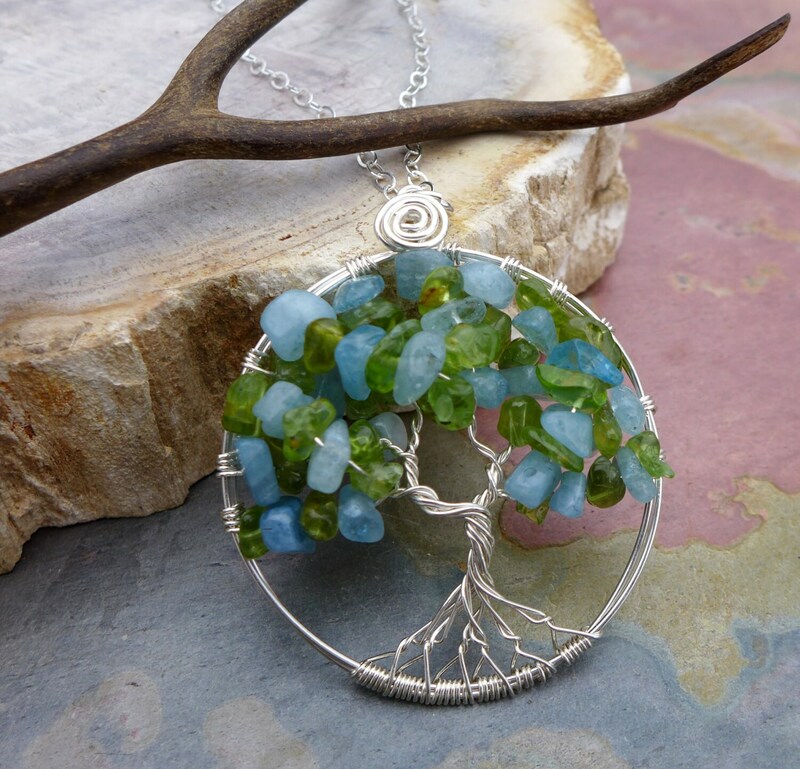 The pendant is made with light blue Aquamarine and Peridot gemstones using .925 Sterling Silver wires. Perfect for March birthday gift.! 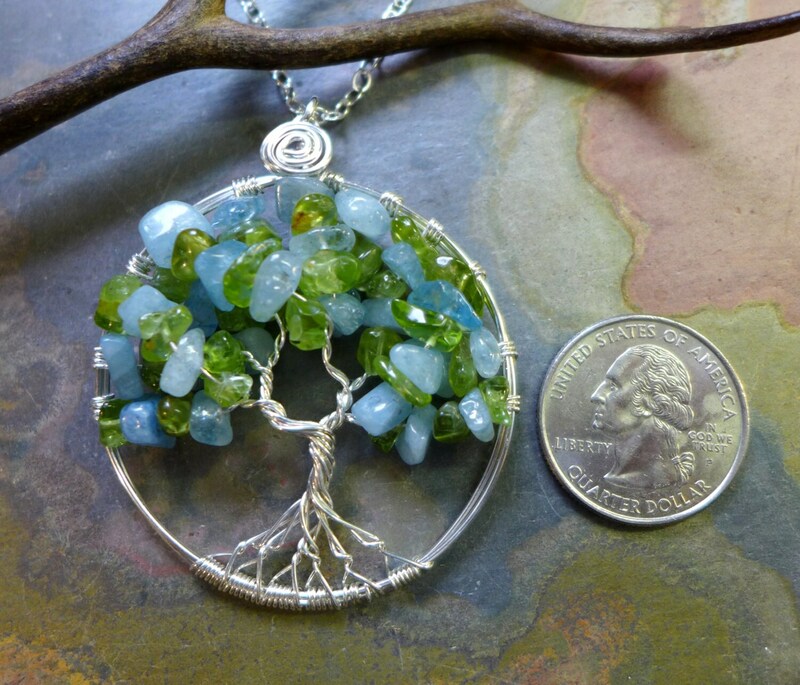 ~~Aquamarine: Aquamarine, sometimes known as "Water of the Sea,"This gemstone was believed to protect sailors, as well as to believe a safe voyage. The aquamarine is said to cool the temper, allowing the wearer to remain calm and levelheaded. 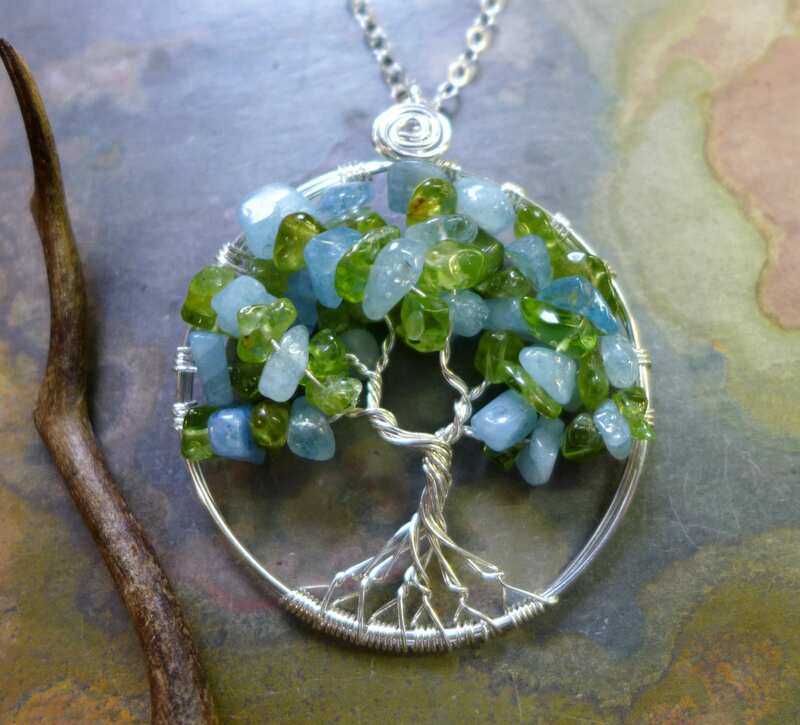 This item I bought for myself to commemorate that loss of two babies, one due in august (peridot) and the other we lost recently due in march (aquamarine). It truly comforts me and serves as a reminder that I have two baby angels in heaven waiting for me.